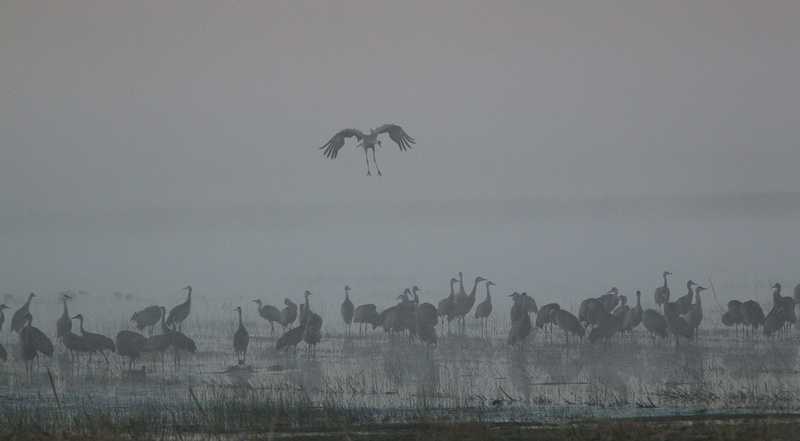 There is something ethereal about fog. 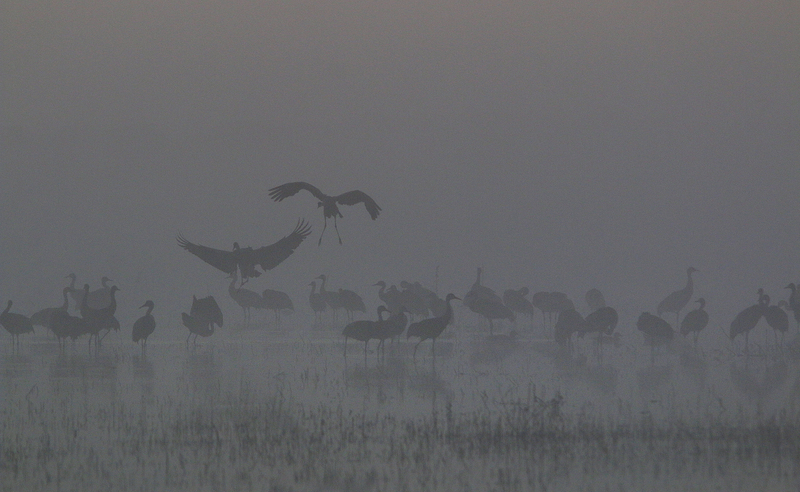 Perspective is diminished, contrast fades away and shapes take on a different form as they waver in and out of the mist. 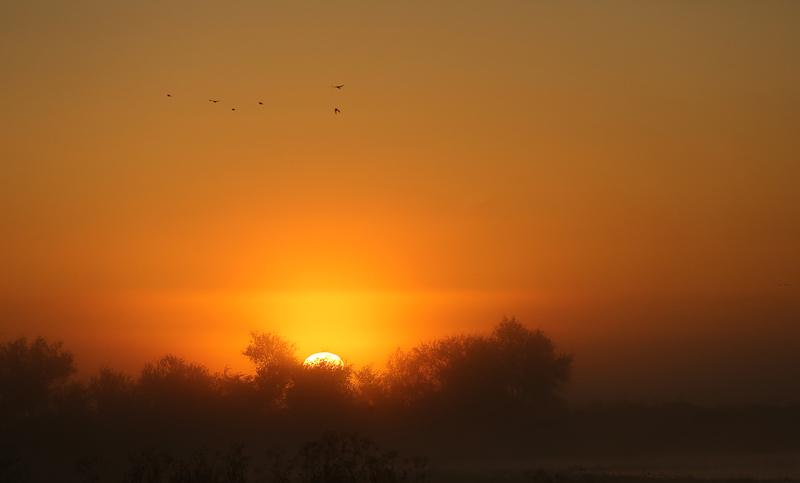 My first Isenberg sunrise of the season turned into a foggy affair as the cool morning temperatures generated a thin blanket of mist that enveloped the wetland in the pre-dawn hours. 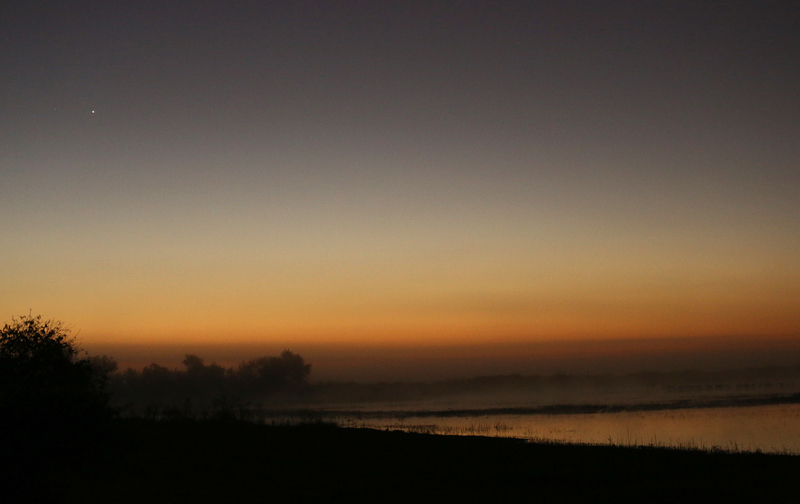 There is a always a chance of fog at Isenberg with that water but as I drove down the narrow country road with my headlights stabbing at the mist I knew my outlook was going to be dim. 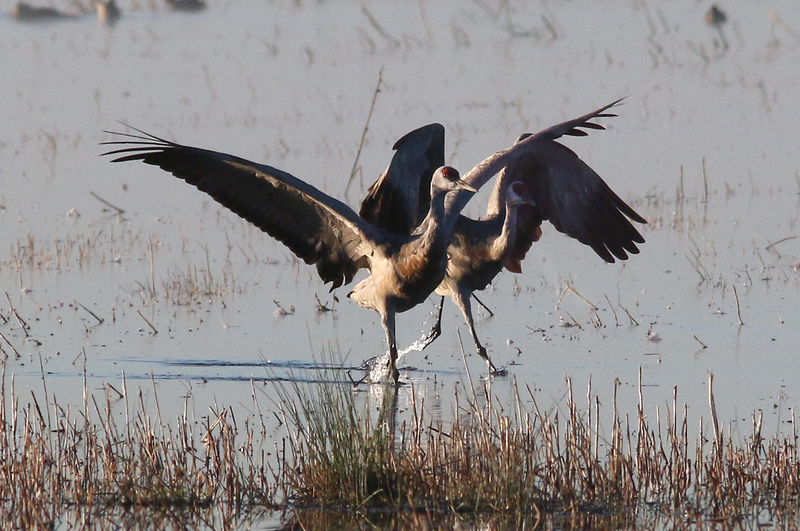 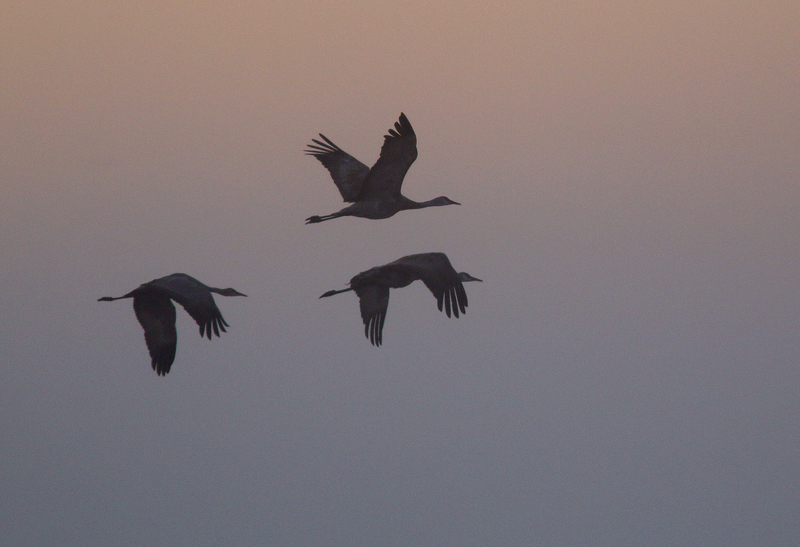 Stepping out the car I could hear the trumpeting as they prepared to greet the dawn. 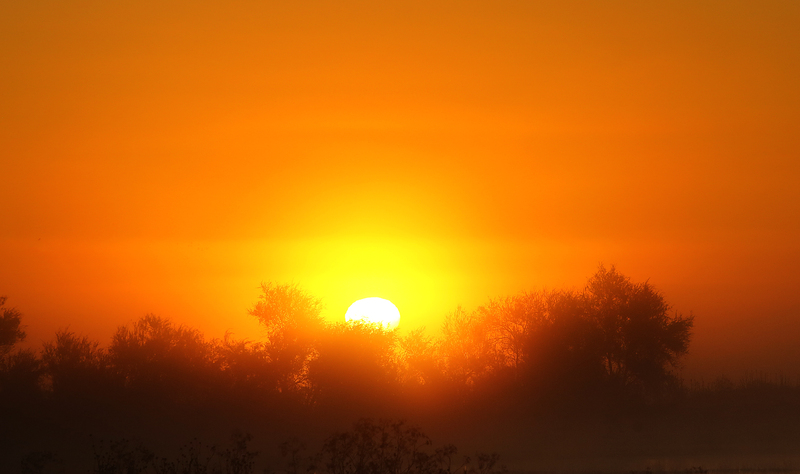 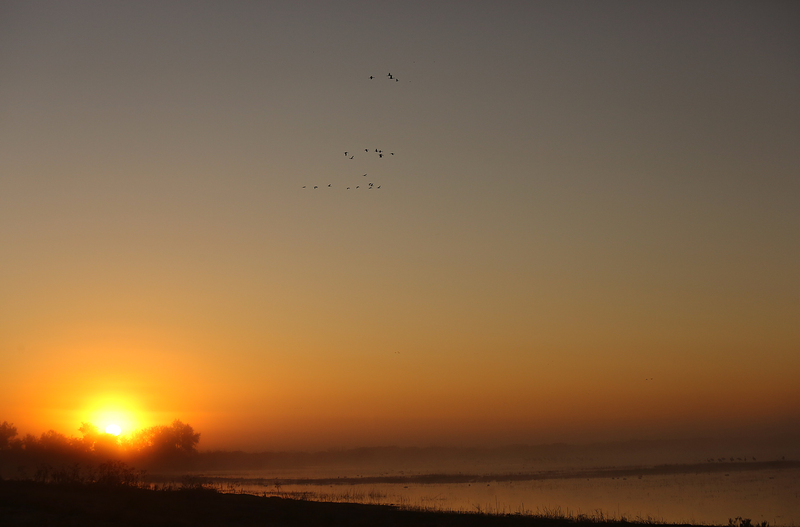 I figured I would wait it out to see how the sunrise moved the layer of fog that glowed along the horizon. 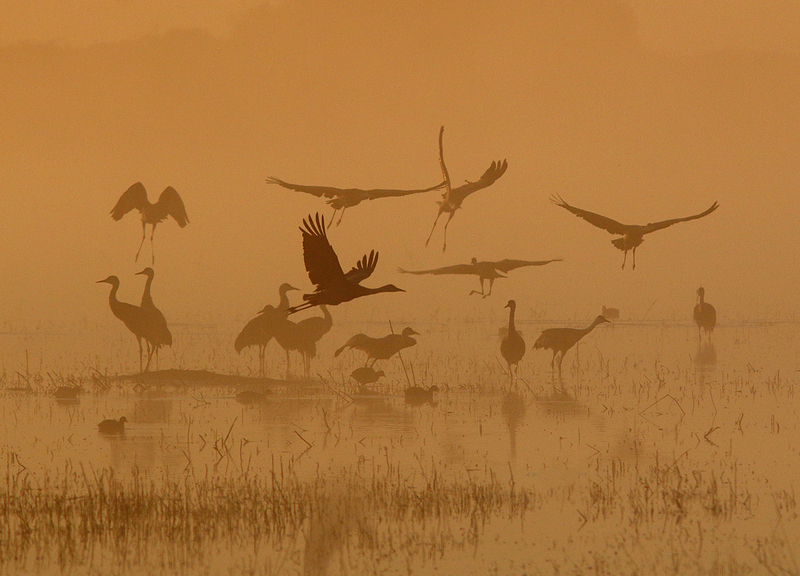 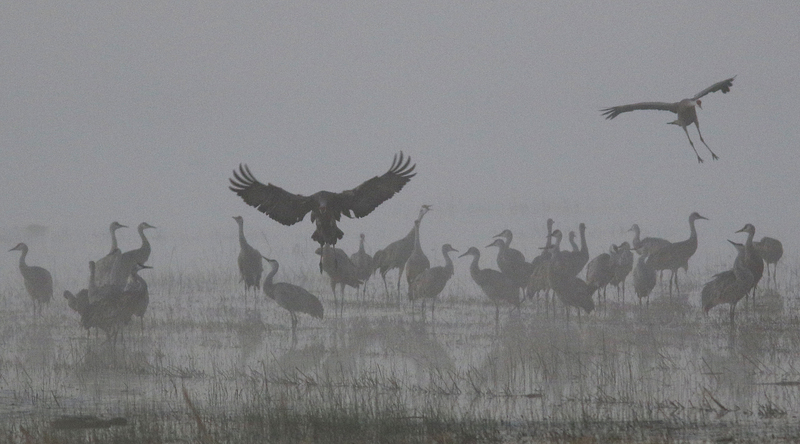 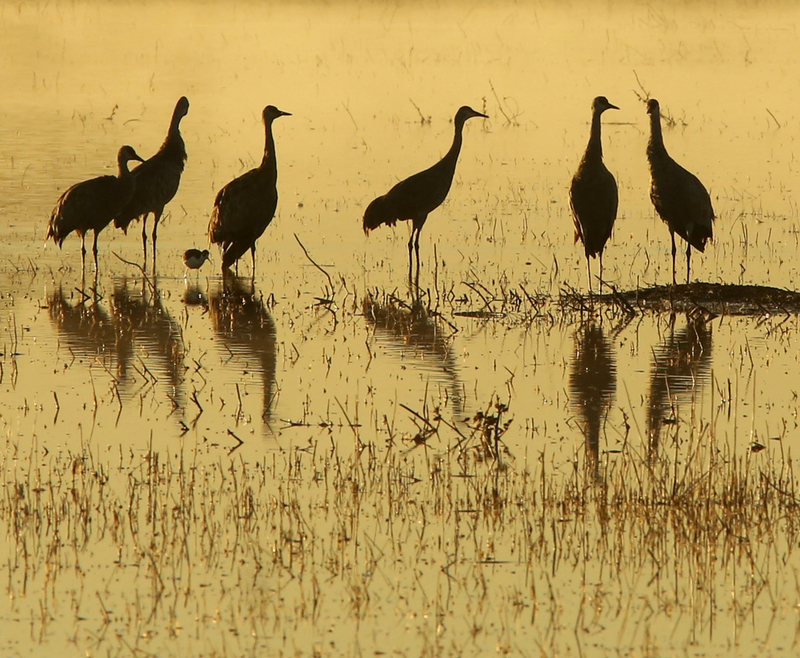 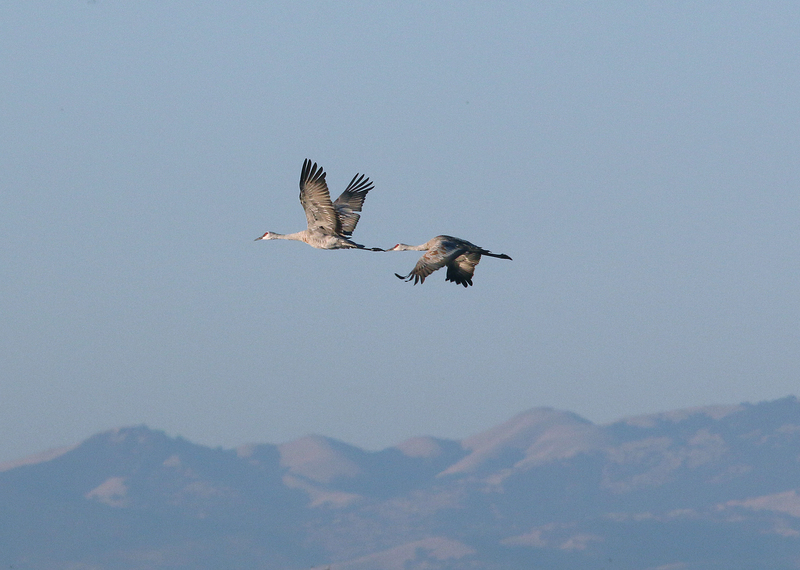 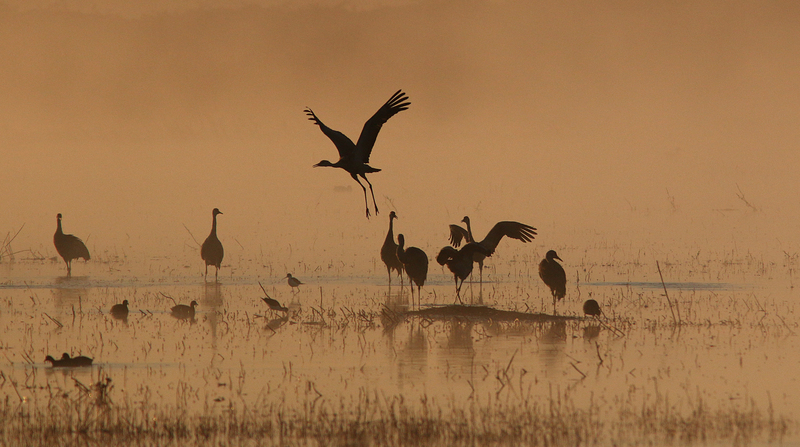 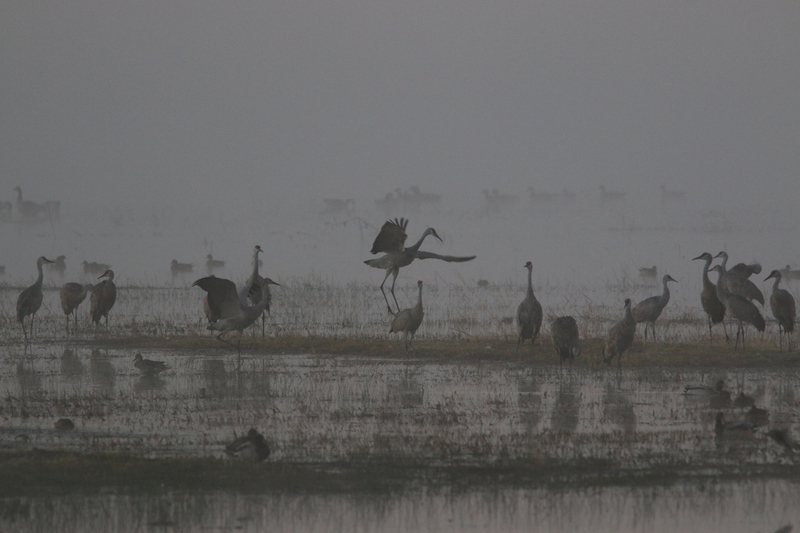 As the sun rose I could see the fog had covered a wide swath with shadowy figures of the cranes emerging through the mist. 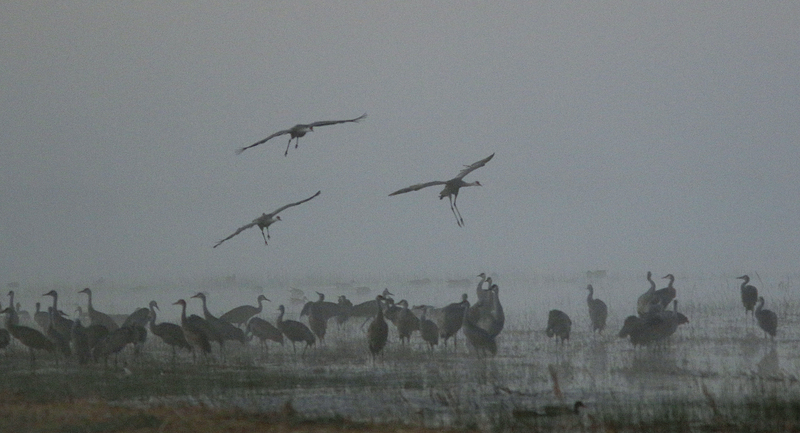 As the sunrise neared the fog began to lift, rolling out from front to back. 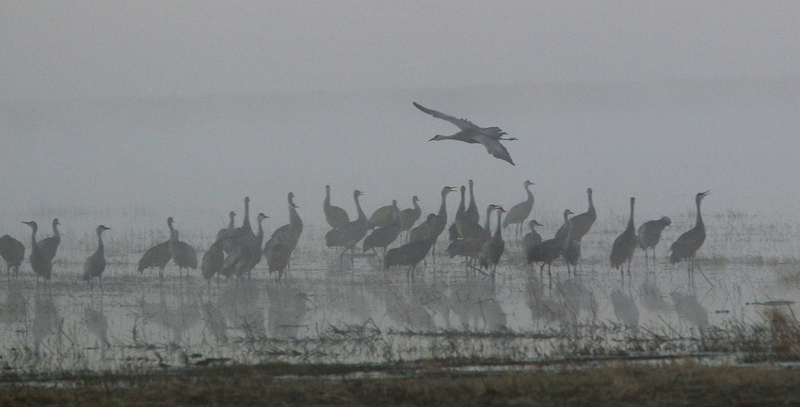 Different rows of cranes stirring in the water were revealed as the daylight tinged the fog from the blue and gray mass that appeared at first light to different hues of yellow. 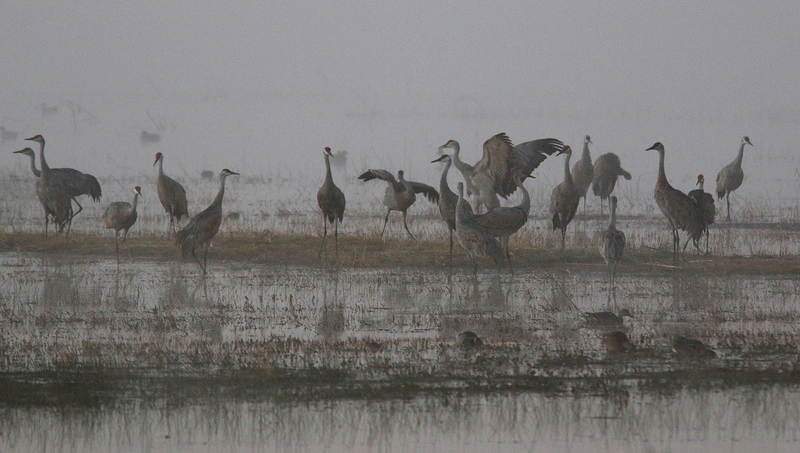 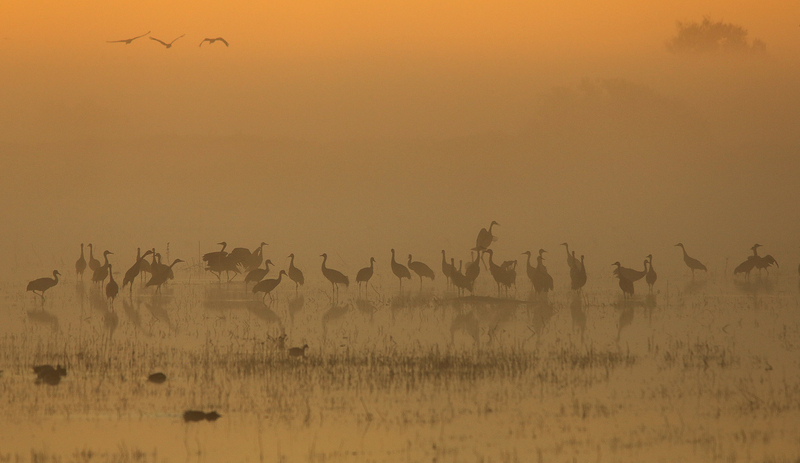 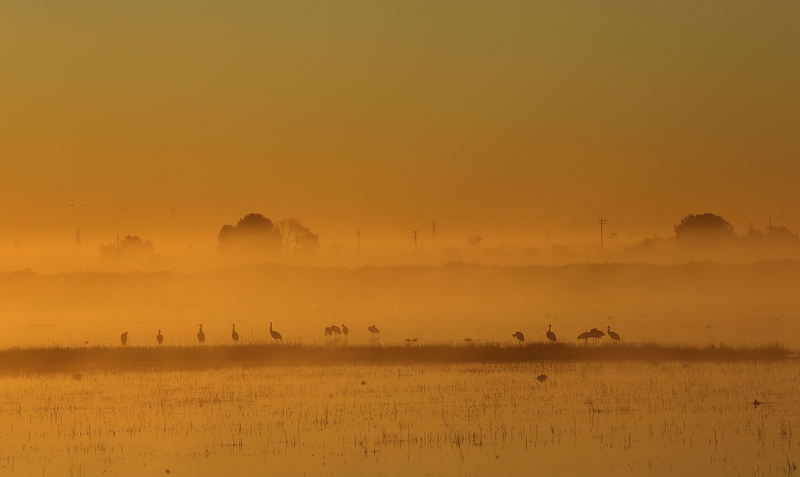 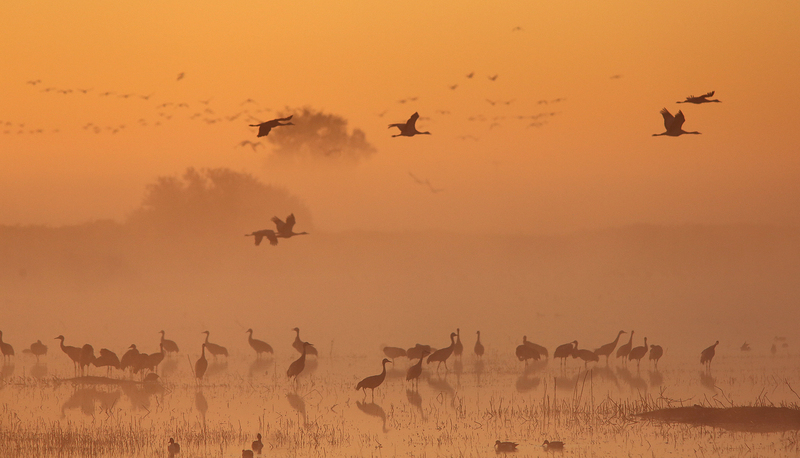 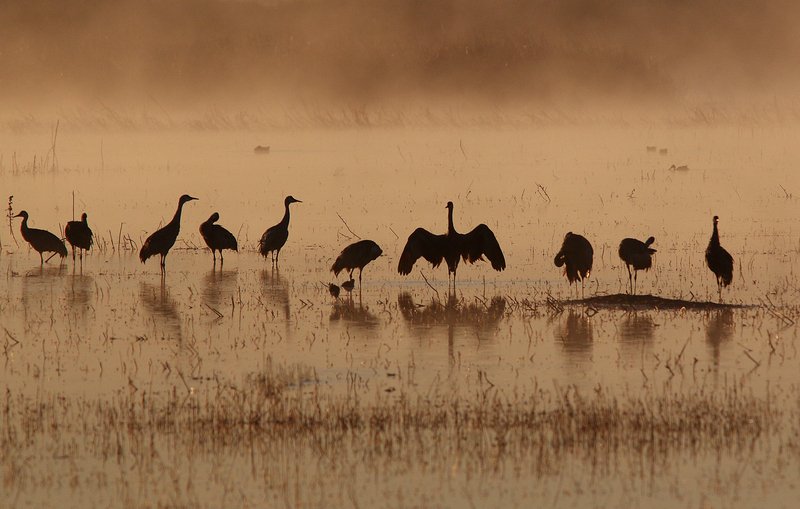 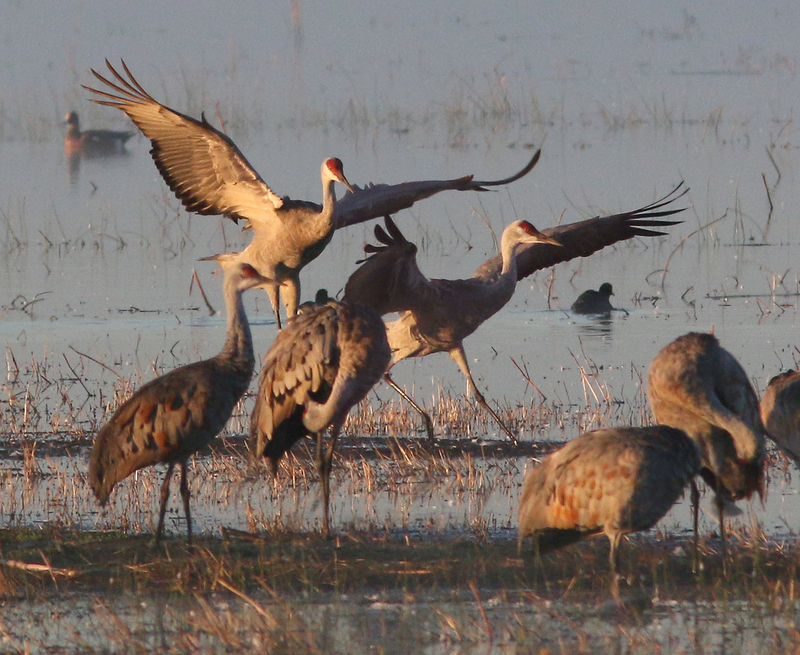 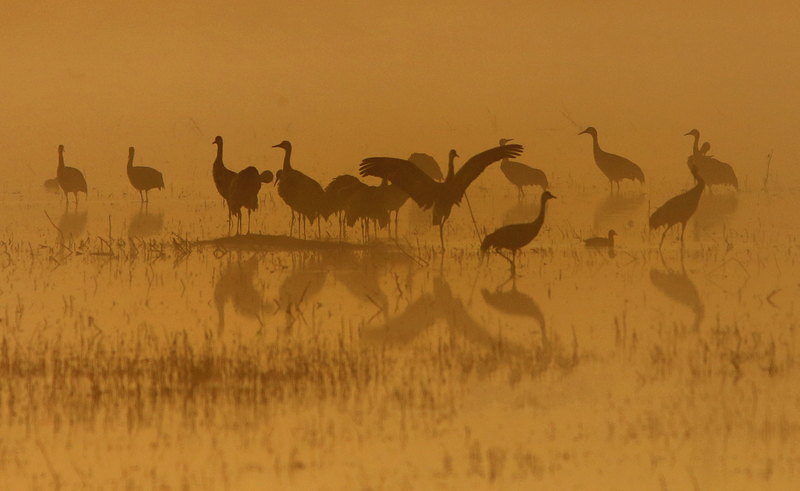 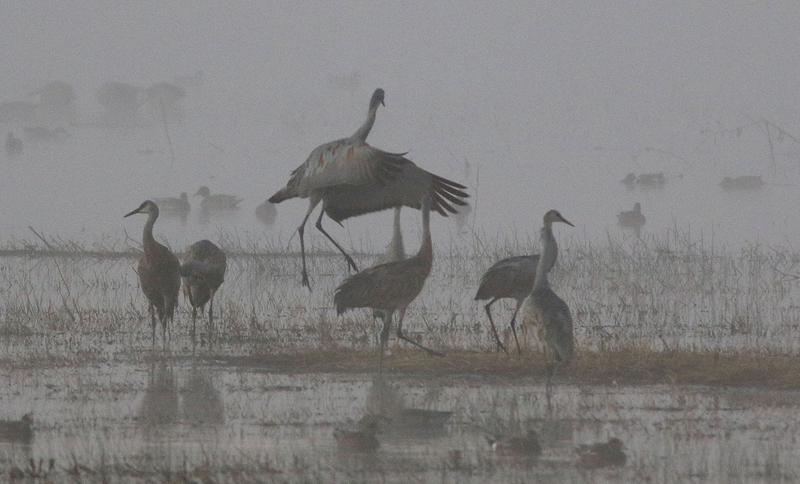 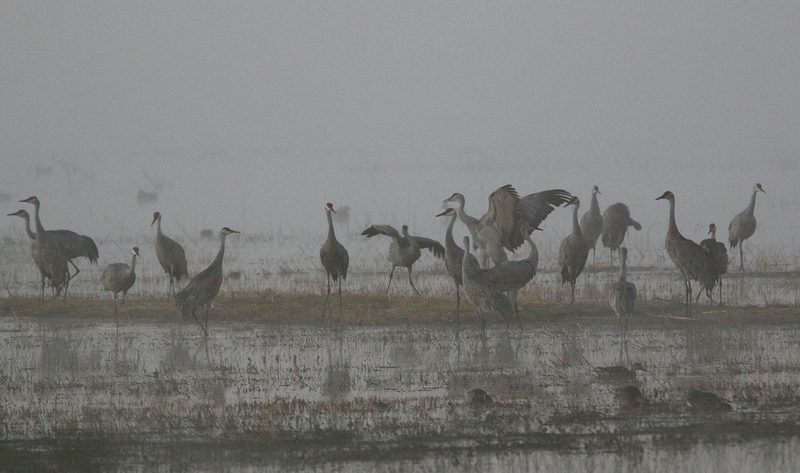 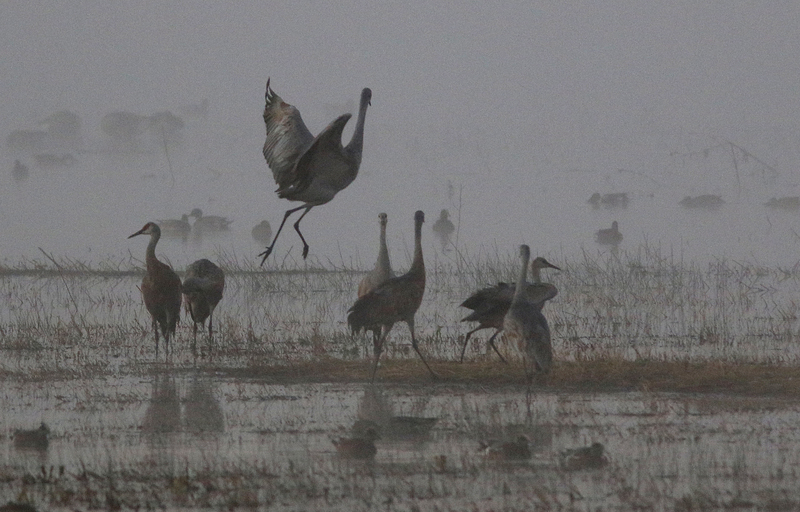 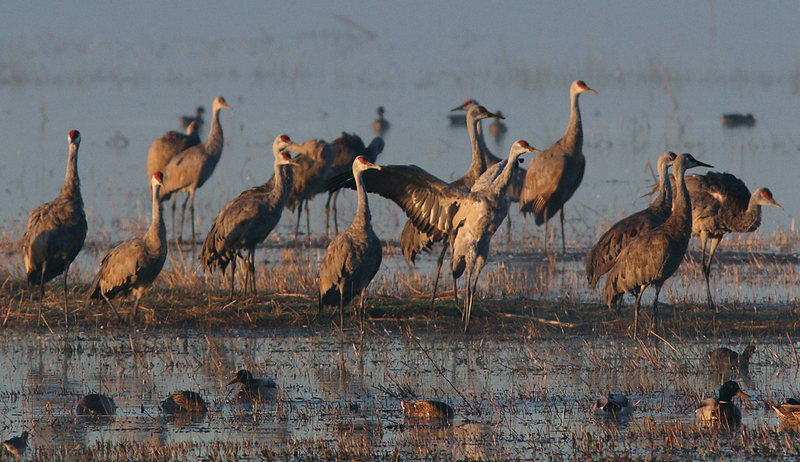 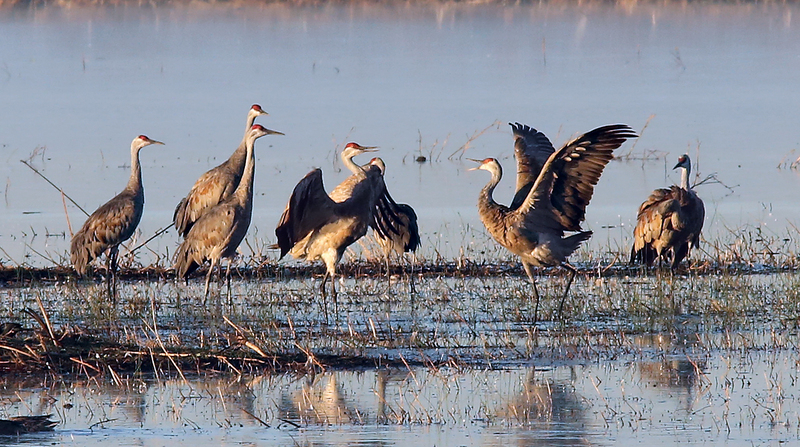 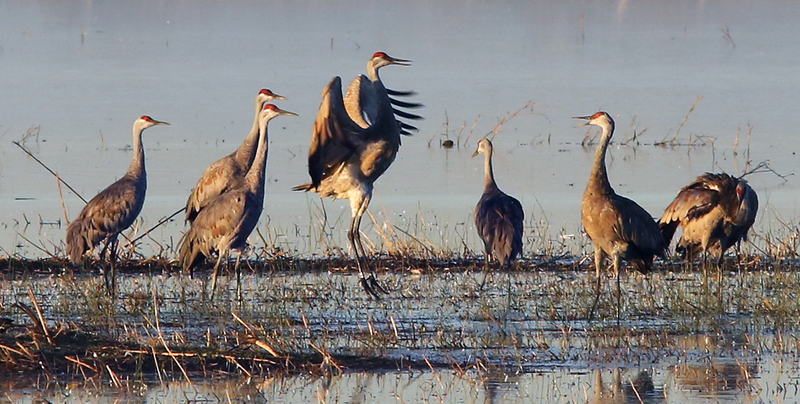 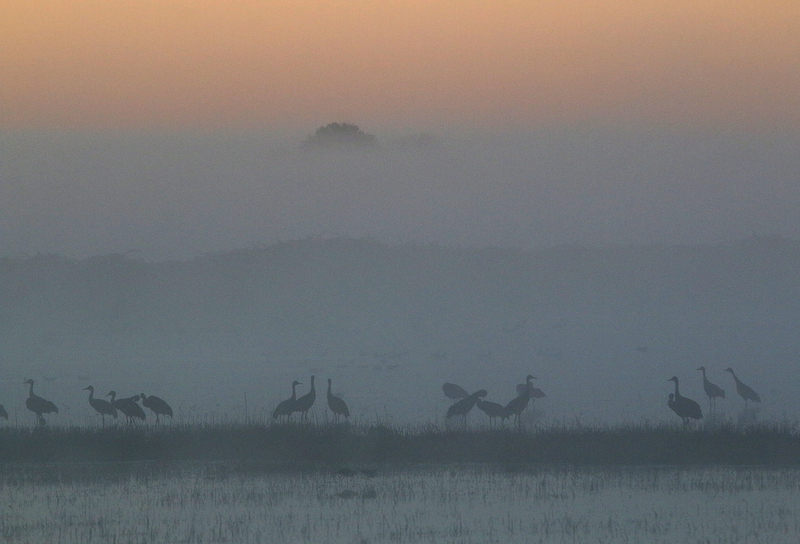 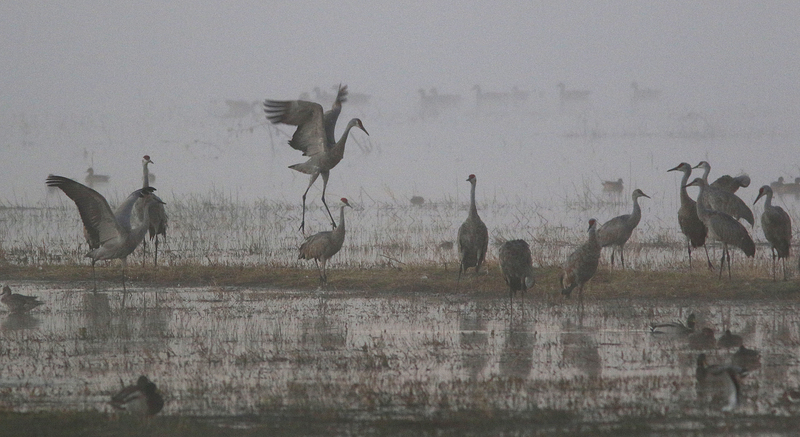 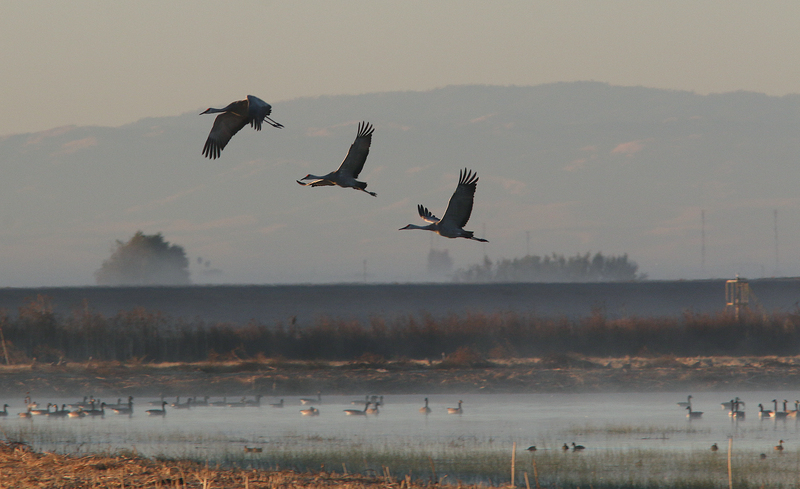 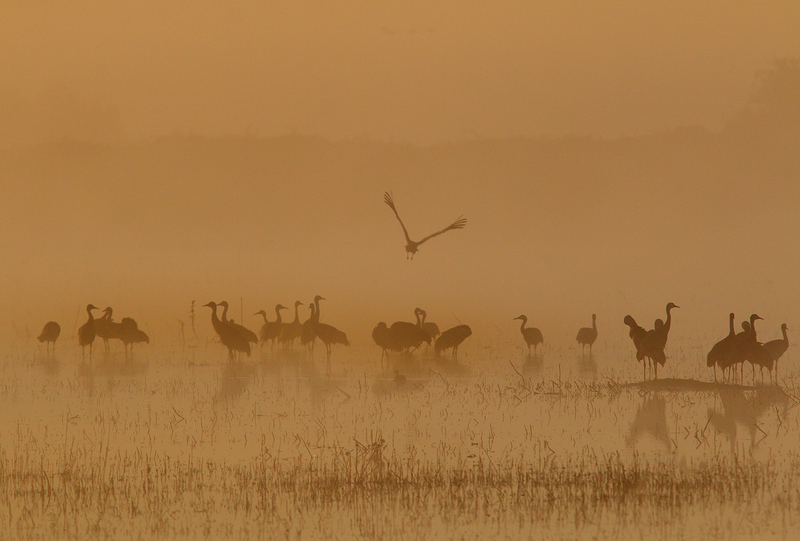 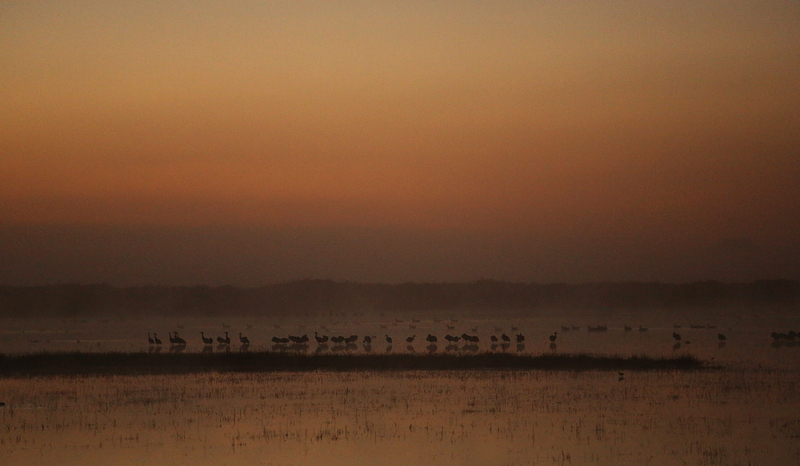 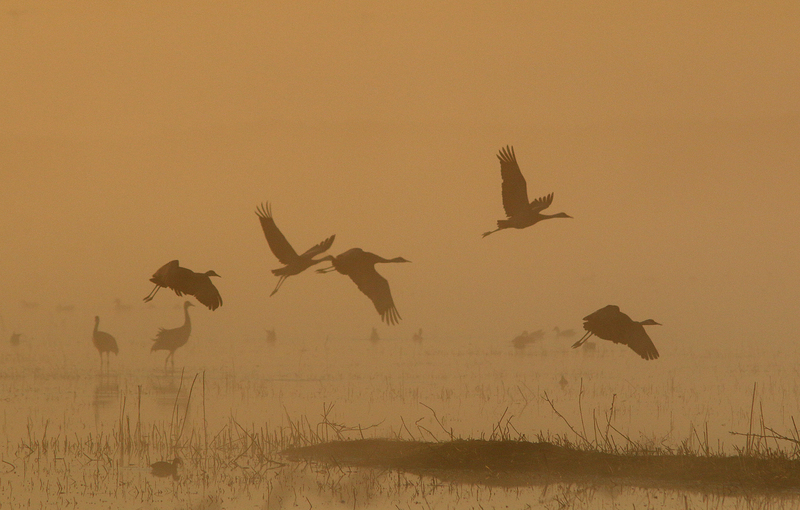 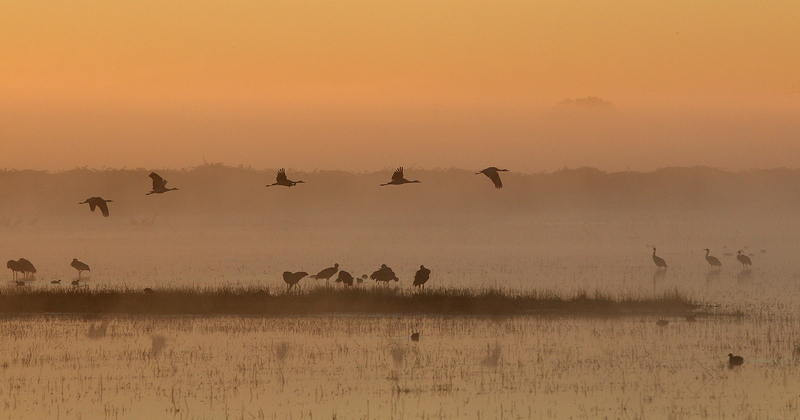 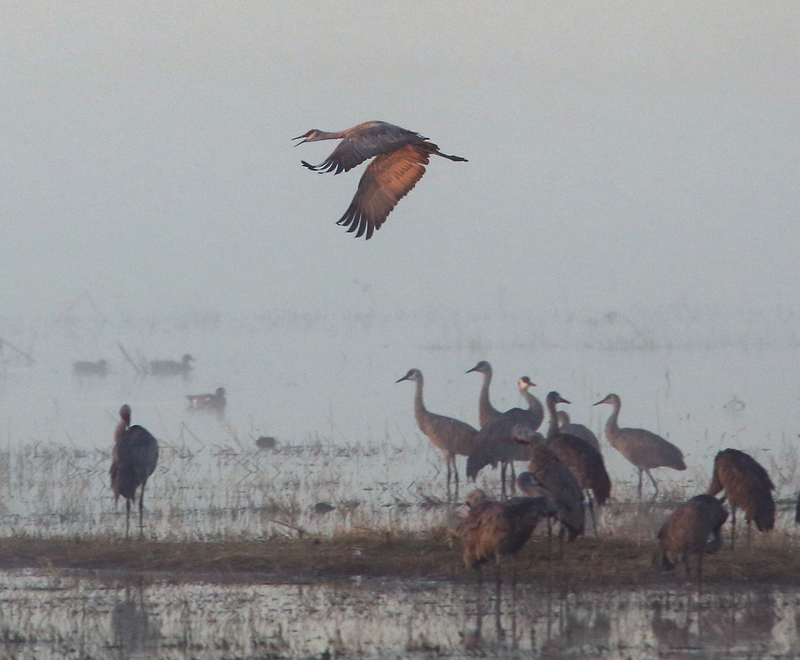 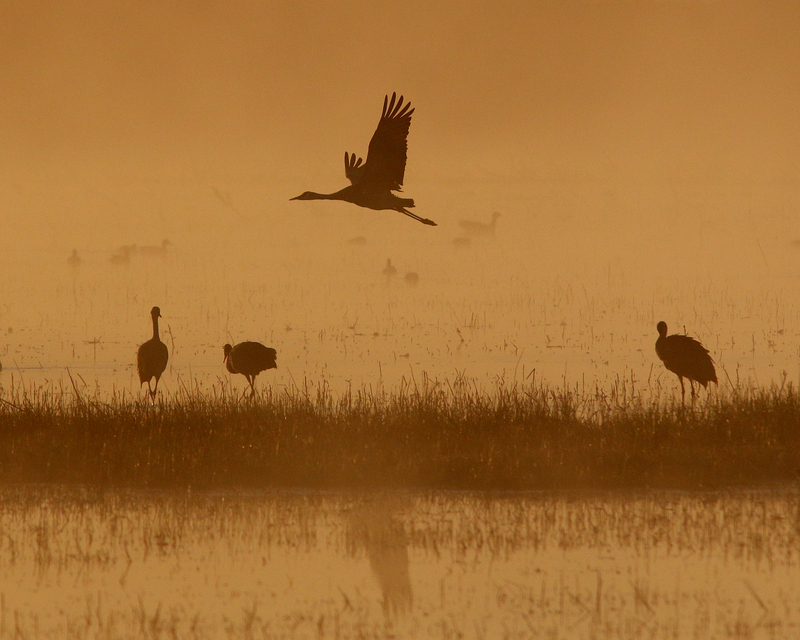 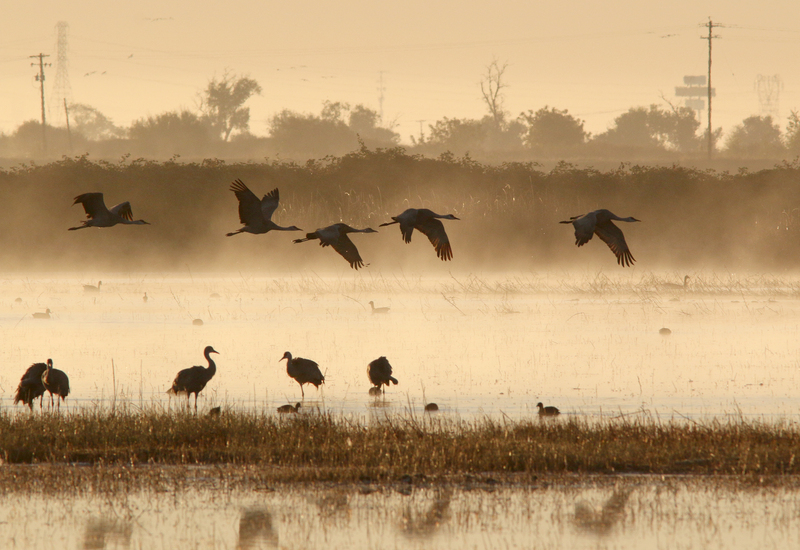 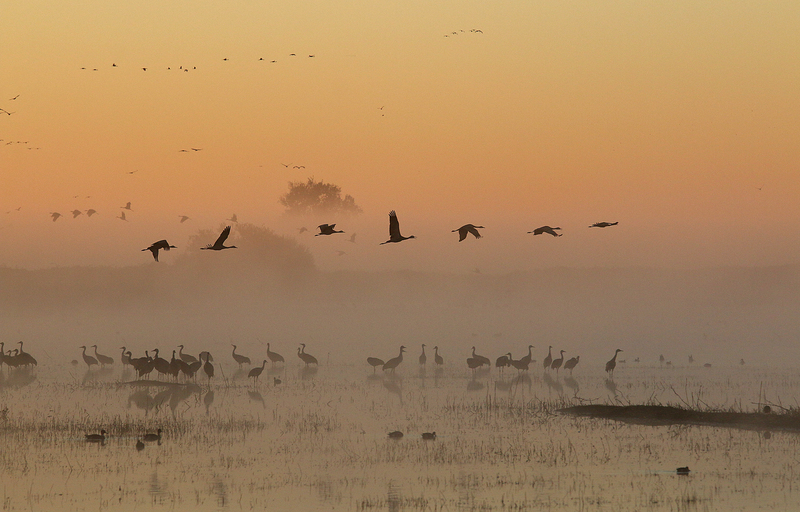 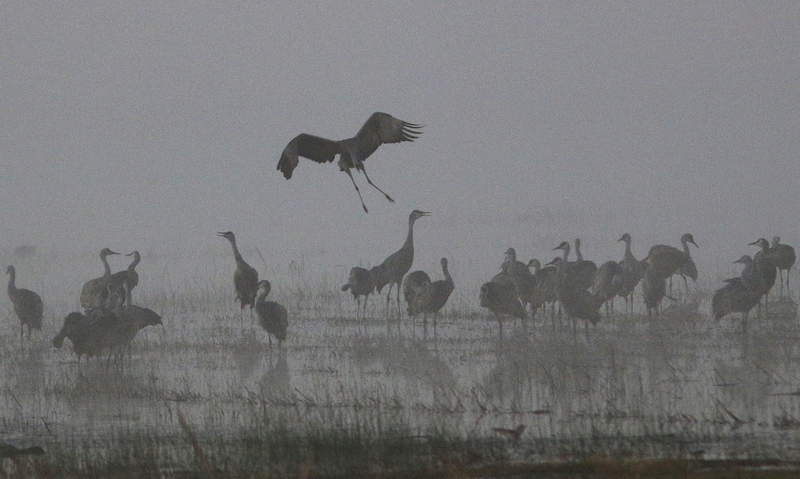 The fog dissipated after the sun fully rose to show the last few cranes in the marsh before heading out to their morning feedings. 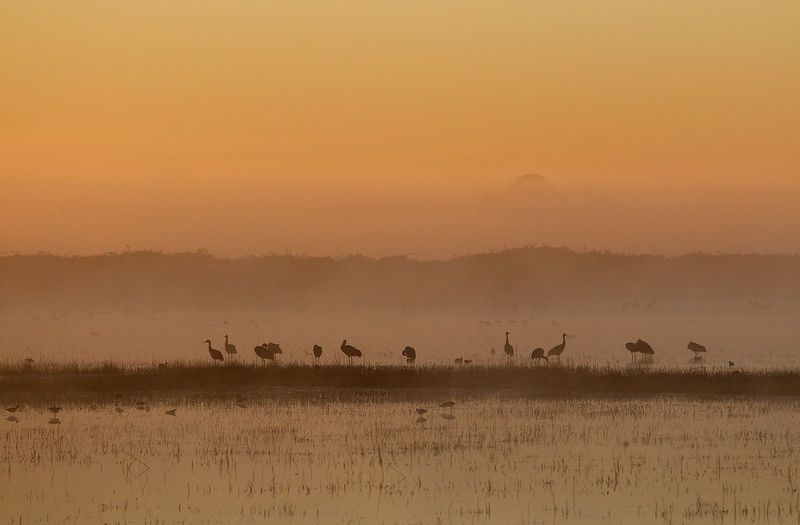 The first sunrise may have been a foggy adventure but the sights were most certainly magical. 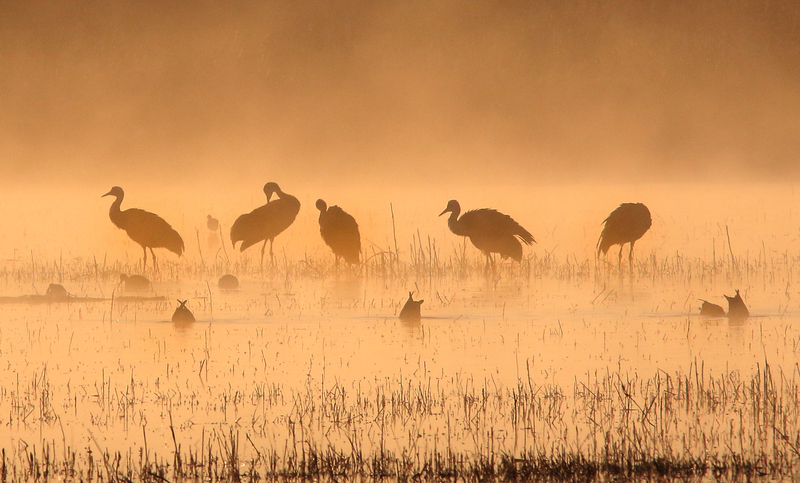 I agree – these images are magical.